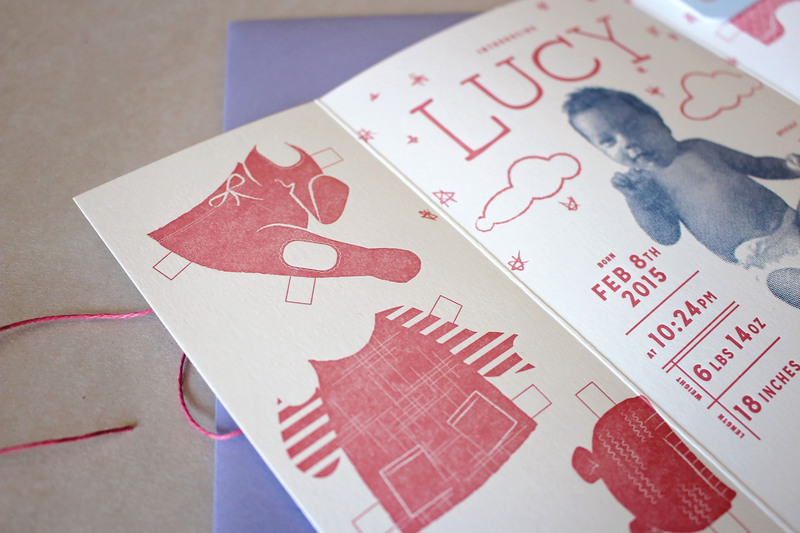 Lucy was born February 8, 2015. 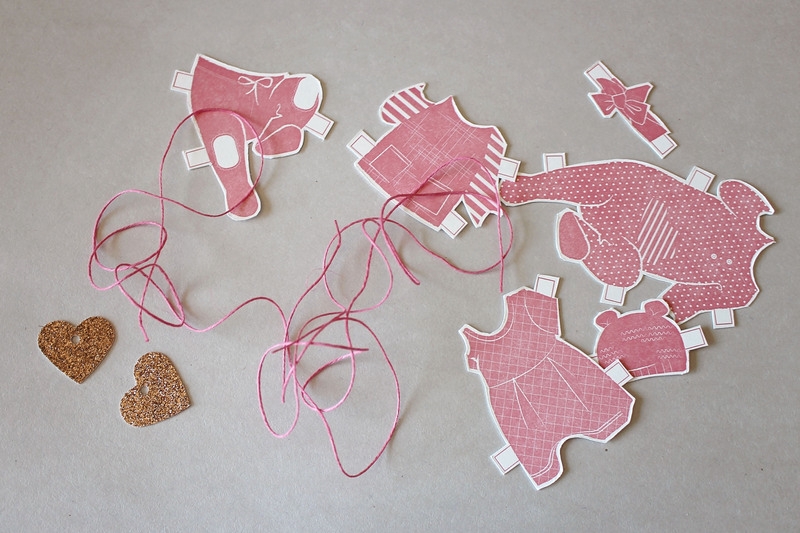 What better way to announce to the world that she was here, and cute as a button, than with an old time favourite, paper dolls. No one really wants to work days after they’ve had a baby. 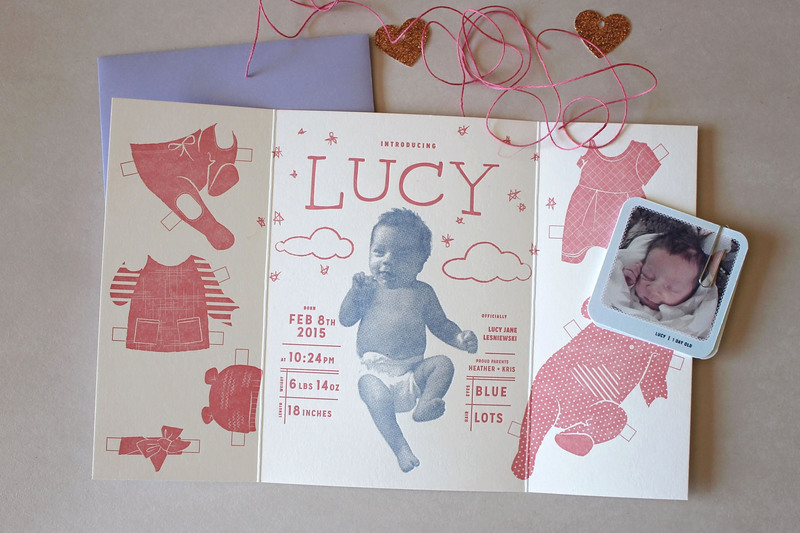 But designing your daughters birth announcement, is a special circumstance. 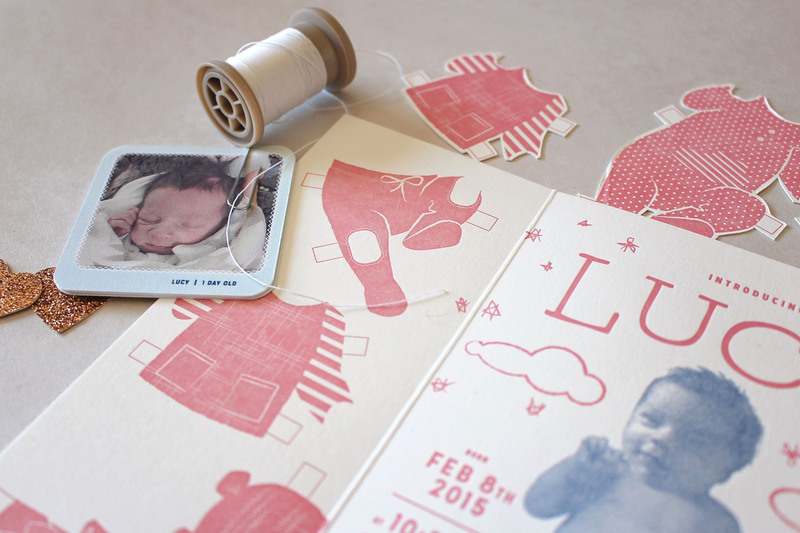 This little girl and all of her favourite outfits were loving printed by Everlovin’ Press. 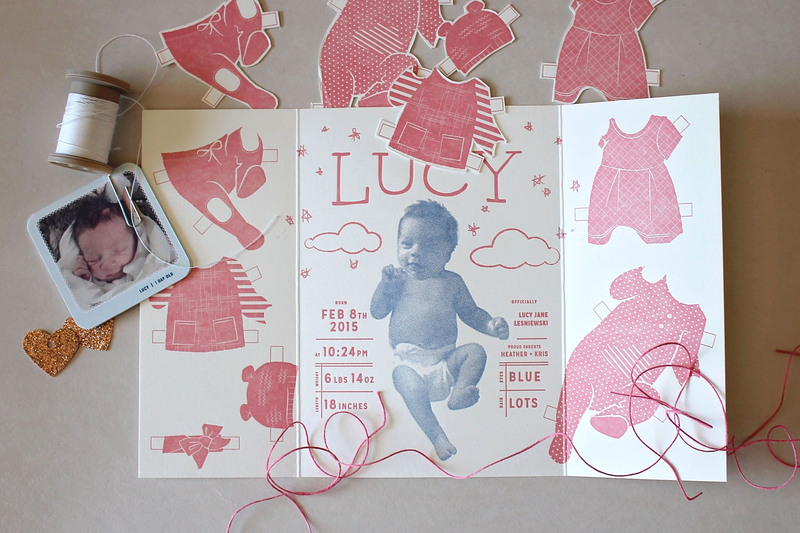 Tags: birth announcement, Letterpress, Lucy. Bookmark the permalink. The model is perfect. Such a lovely idea and a keepsake forever. If she has one for every year she’ll have a full wardrobe to play with when she’s a bit older!